If someone walked into my head to find out what I would want my ideal beach house to look like, it would be every single room (or maybe even square foot) of The Halcyon House. 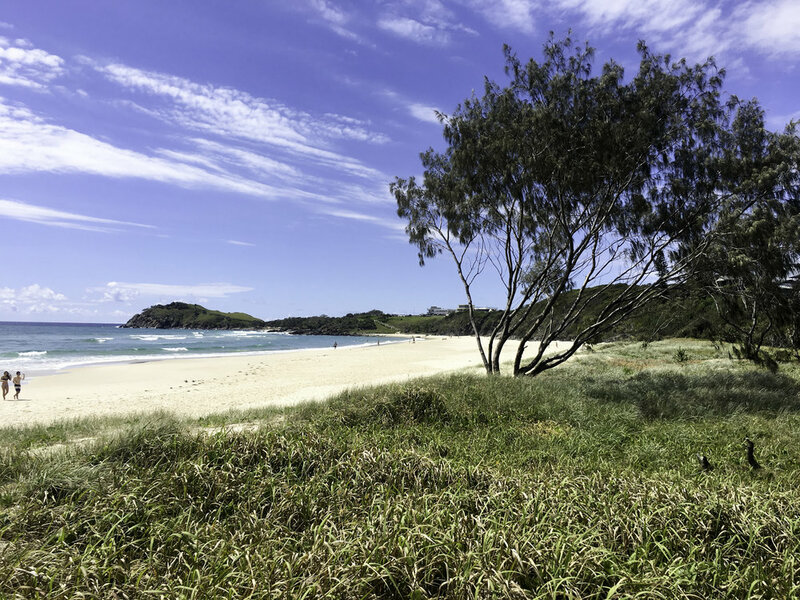 Nestled in-between the high-rises of Australia’s Gold Coast and the funky farm-life of Byron Bay to the South, Cabarita Beach is an undiscovered slice of heaven in New South Wales. 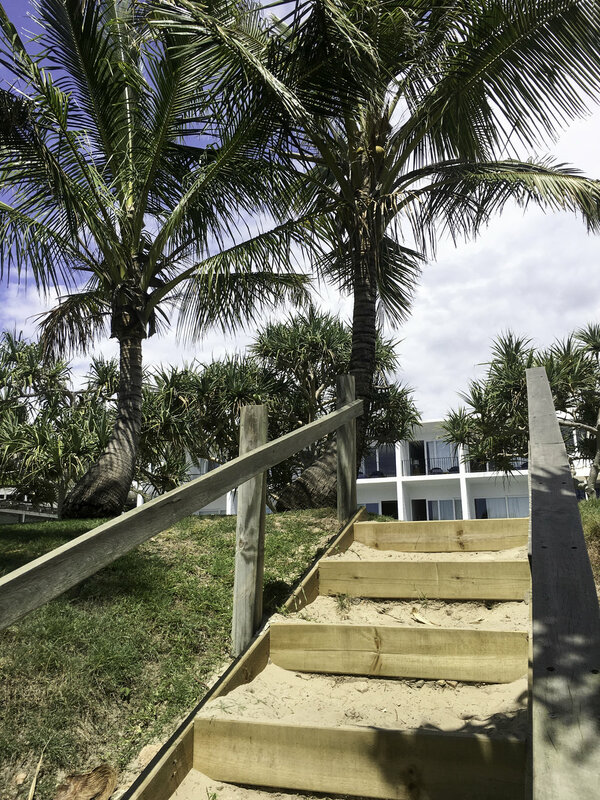 The Halcyon House is a former surf motel revamped into a chic 21 room seaside accommodation by an Aussie couple who originally purchased the property as a vacation home for their family of seven. 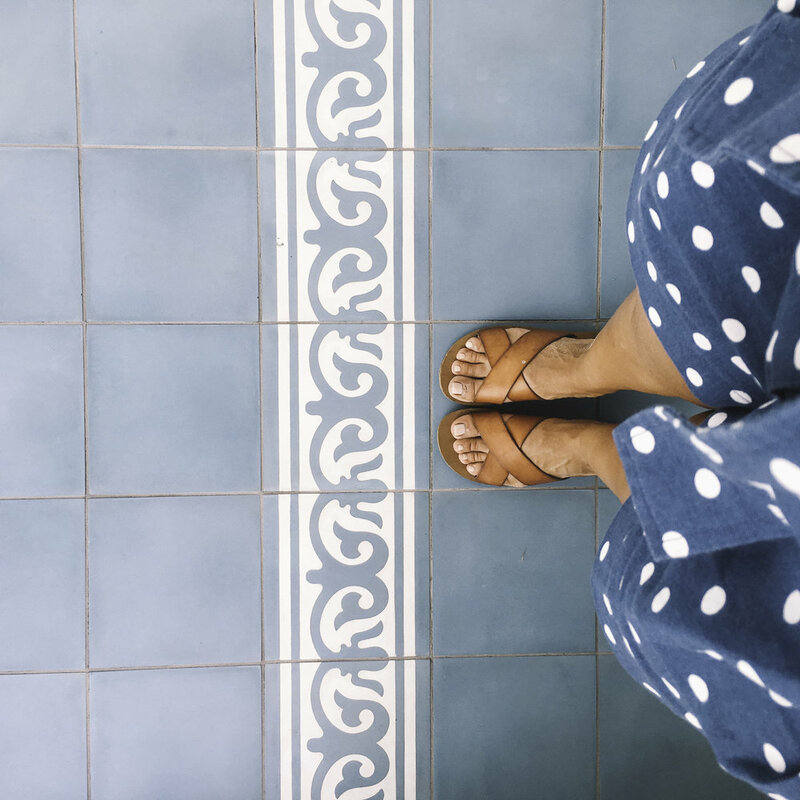 After taking in the blue and white Ikat patterns doused ever so brilliantly all over the property, you’ll understand why I quickly inquired if the owners were considering adopting anymore children… aka me! Dining in the hotel’s only restaurant, Paper Daisy, is just as eye-catching. The whole restaurant has open archways flooding in natural light and ocean breezes. Whilst there isn’t exactly a perfect beach view from the patio, sitting amongst the fringed palms is just as dreamy - I promise. You’ll dine on an Australian-Mediterranean menu by hatted chef (Aussie equivalent to a Michelin) Ben Devlin. The menu utilizes its coastal location with heavy seafood and local farm influences. Cocktails take cue from the restaurant and also utilize the freshest ingredients in that simple beachy way I adore. Try the Smokin’ Rosie and homemade bread with Mac Nut Butter. The cocktail is refreshing, while the locally produced Macadamia Nut spread is sinful. #VacationMode, #SecondsAreWelcome. A gorgeous lap pool with chaise lounges and white canvas umbrellas will make you want to either never leave, or take a photo every ten minutes. A quick walk to the beach means you can have best of both worlds, and even rent a surf board for those really diggin’ that surf motel feel. 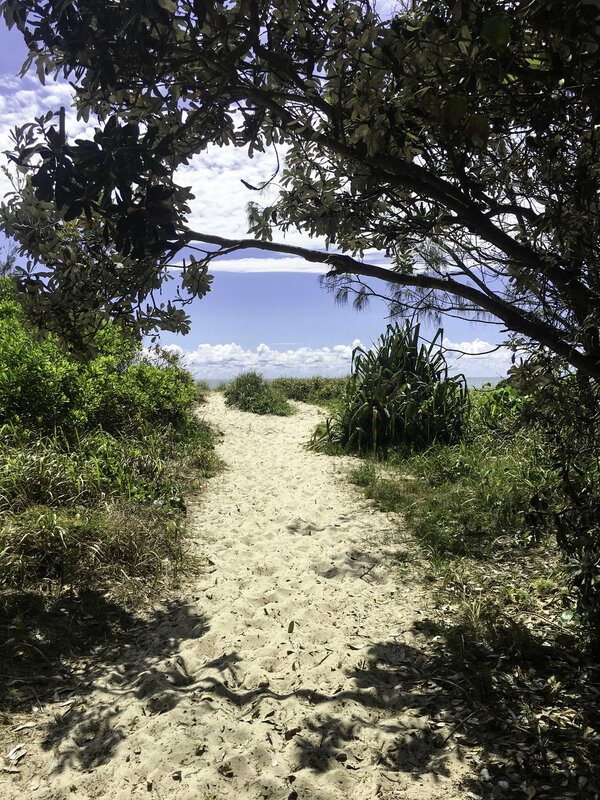 Hike along a coastal trail to a lighthouse down the way, or take a ride on a beach cruising bike, complete with basket. 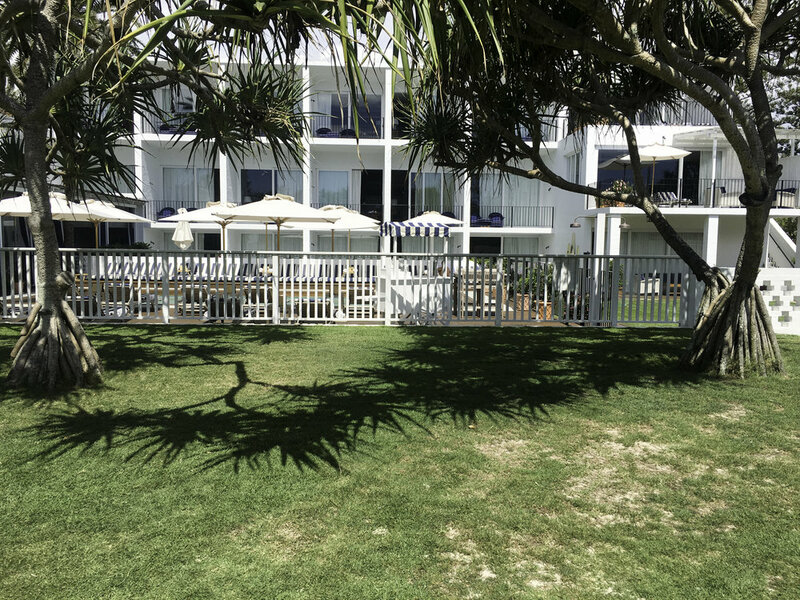 Whether it’s your tufted chambray headboard, or your tiled balcony complete with wicker chairs, you’ll literally feel as if a 1960’s surf film is taking place right outside your room. Needless to say the beach girl in me never wanted to leave. 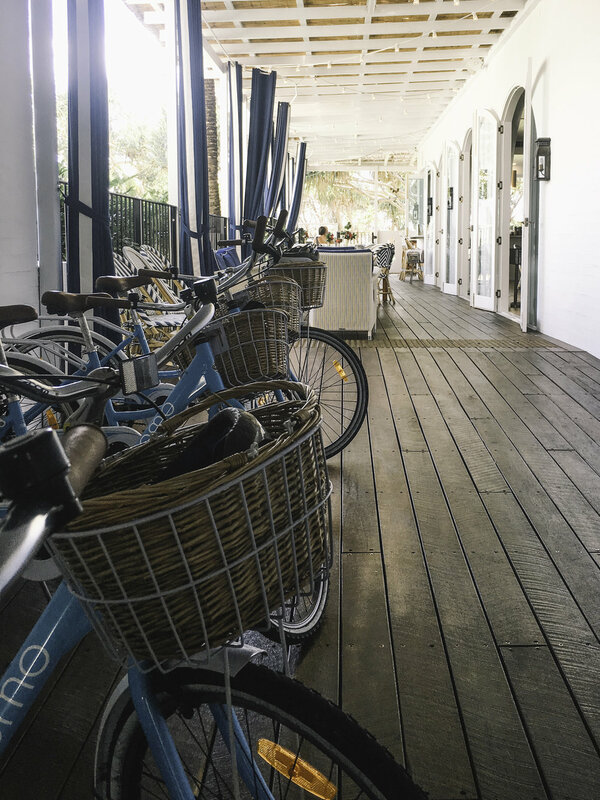 Insider Tips: For a weekend escape this may be on the higher end of your budget, but it’s stunning decor and under the radar location means its definitely a nice way to splurge for yourself or with a beach-loving buddy. Also, breakfast is worth the trek alone - Kefir pancakes with macadamia cream, passionfruit and berries. Yes, just yes!